We offer a comprehensive range of culinary herbs, spices, teas, and tea bags - many organic. 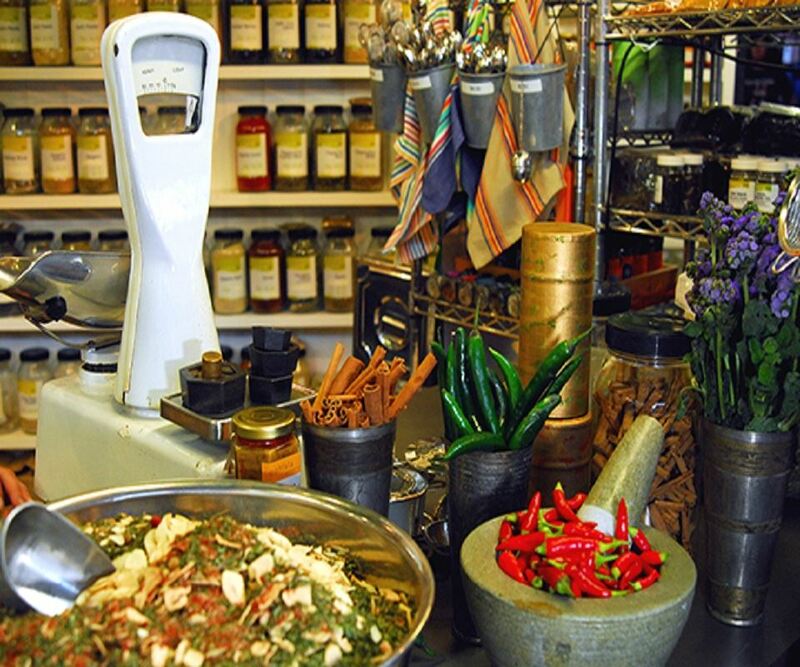 We have all the familiar herbs plus a range of more contemporary and currently popular herbs and spices - including many peppers, the ingredients to blend your own curries. We have fresh nuts in shell, interesting bottles and containers, preserves and pickles. Write to us for advice, knowledge, a gift or something to add spice to your life - or visit our stall! Curry leaves, Curry powders, Frankincense, Italian seasoning, Kaffir lime leaves, Lavender flowers, Mace, Mhyrr, Nutmeg, Orris root, Peppercorns, Rosebuds, Saffron, Szechuan pepper, Teas, Tandoori, Sandalwood, Vanilla pods, Indigo Grinds, Oz Tukka, Ooh la la preserves, Murray River Salt, Thurlby Herb Farm, Essential oils, Rasel Hanoot, Zatar, Pukkah teas, Tinderbox, Mother Earth, Himilayan Salt & Japanese tea containers.